I remember going to Foster's after enduring the gushing recommendations of my colleagues and coming away with a MEH feeling about the place. It was good thing that I excelled at ignoring that inner voice. The burger at Foster's Grille was darn good. While fiddling around with the menu and talking myself into a chicken sandwich or a salad, the guy from the kitchen popped by the table and told me to get the burger, because it was great, and he should have known since he was the guy that makes them. DONE--either I was going rip this place a new one, or I would get an excellent burger--either way, I couldn't lose. Holy crap! 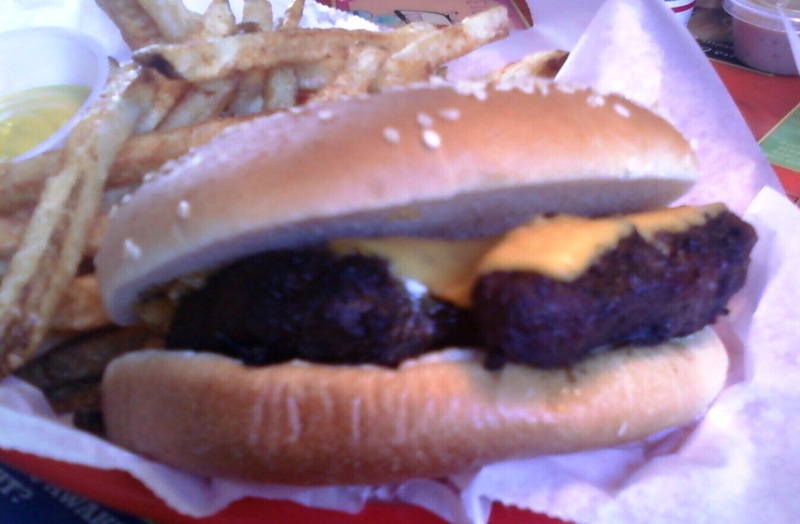 They must have flown the burger through the sun in order to get the sear/char that it came with. It was amazing. The sear had the faintest hint of carbon but not enough to be offputting. You'd swear that it was burnt, but that was just a proper, dark sear. PS--they hit it with steak salt, so it tasted like something. The 1/2 pound patty was cooked to Med (Florida), but it remained juicy and pretty damn fantastic. The bun was a silent bystander. It competently sopped up the juices while it kept my hands dry--you know, like a bun. The fries--pretty damn good, too. The Beef: 1/2 pound of 80:20 Chuck. It was juicy, beefy, and tender. The Preparation: Grilled hat and cooked to Medium. 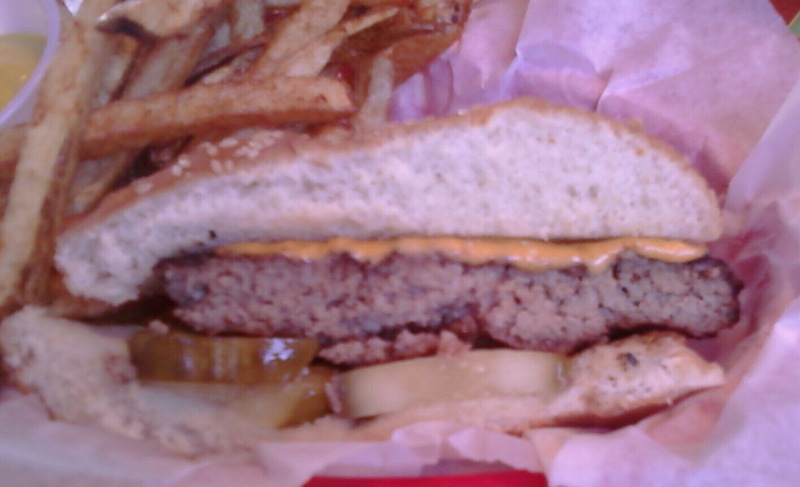 The Bun: Seeded, standard, toasted, neutral, burger bun. Meat To Bun Ratio: Perfect. The Fries: Crisp, hot, seasoned, and browned.